After the first wedding in Sicily, we drove to Palermo, caught the ferry to Naples overnight and drove on to Amalfi - all in twenty four hours. 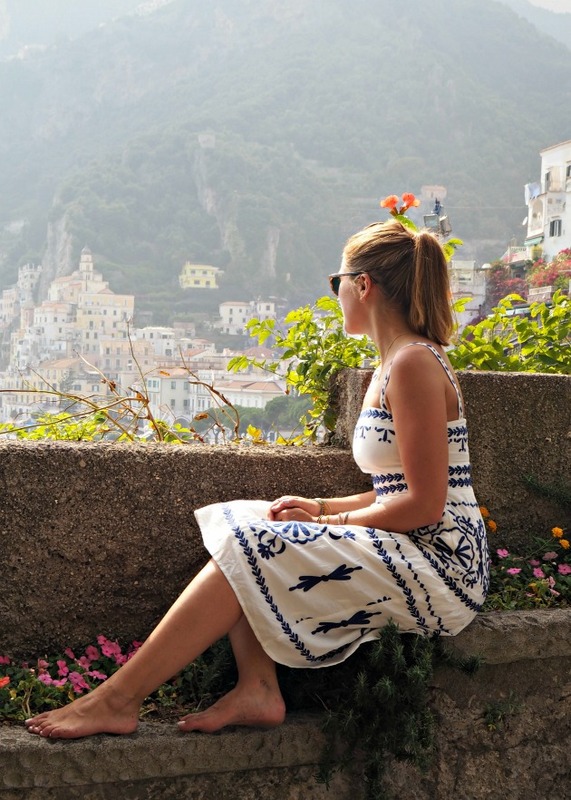 We found a teeny little hotel in neighbouring Atrani (here - and more on that village to come) and went for a walk along the coast to see what all the fuss was about. 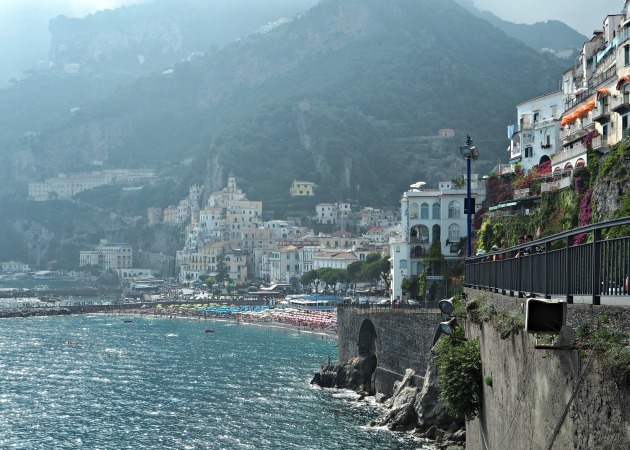 The Amalfi Coast is everything you expect it to be. 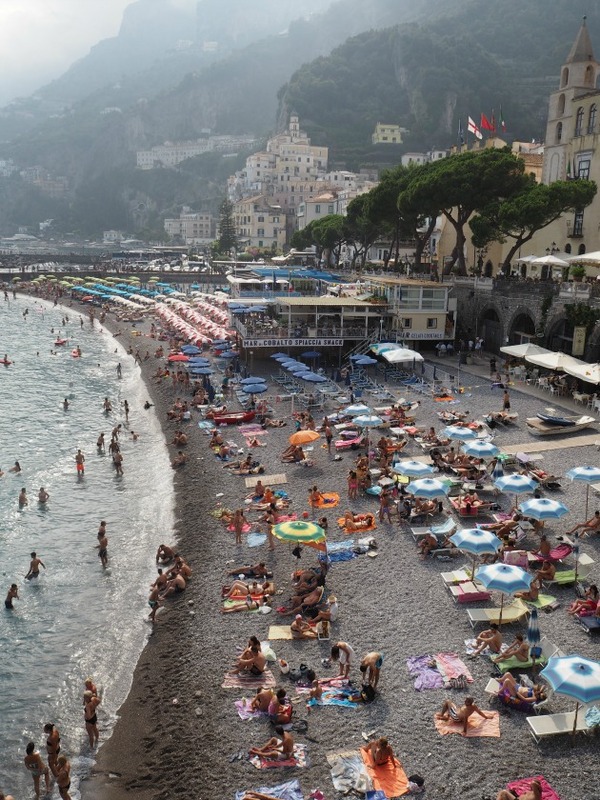 It oozes cool; everything you love about the sea and Italy in one place. It's the first place I've been to in a long time that has a clear dress code from the start. You need to have white and blue sundresses, floppy hats, off shoulder tops and expensive looking swimwear. Luckily the piece at the top of my suitcase was this dress from Monsoon. I'd seen it on a few blogger friends so when they asked if I'd like to wear some of their pieces on holiday I jumped at the chance. Things like this are perfect for Italian holidays. It's light, comfortable and very "throw on" but smart enough for an evening cocktail. In my opinion you can never go wrong with blue and white clothing, especially when you're by the sea! Amalfi wise, we were really surprised by prices. We expected London-level charges on menus but a pizza and drinks in the nicest bar on the promenade (the first one if you hit it from the East) was around 20€ in total! Don't be fooled by no obvious large road veering you towards the centre of the town (behind the strip of hotels and shops on the sea front). Venture down and of the little paths between them to discover the beautiful central square and incredibly impressive gold and black cathedral. Oh and the sea... I mean just look at the photo below (which has had no editing whatsoever). 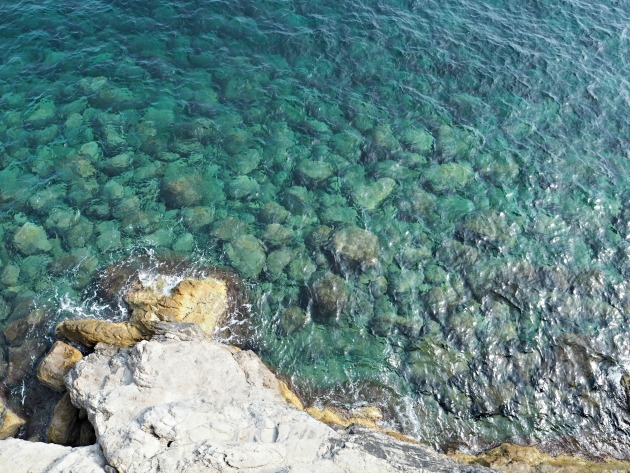 Who can resist a dip in that ocean?! This post was in collaboration with Monsoon, all words, images and positioning my own. Follow more of my Italian adventures on Instagram here.